Order in the next 1 hour 24 minutes for delivery on Friday, April 26. For engraving, order in the next 25 minutes for delivery on Friday, April 26. 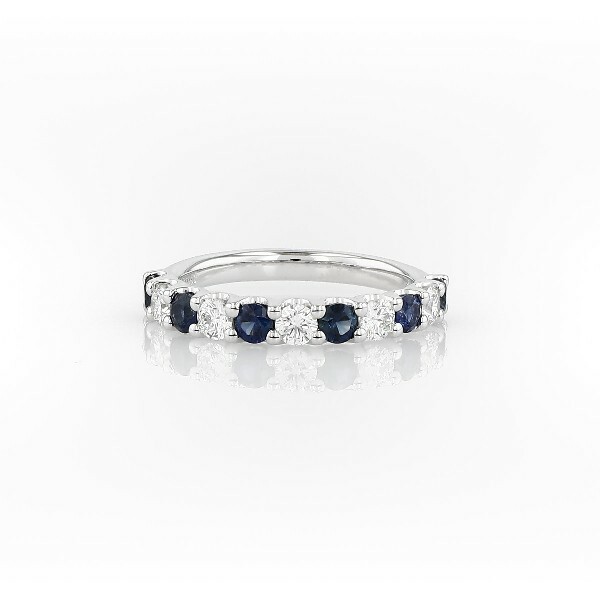 Shared prongs with a draped side profile showcase alternating diamonds and deep blue sapphires for a modern, timeless look.